Winter is still present and snow season is now upon us. Old and new houses alike have windows that let in outside air and let inside air escape. In the summertime that is not a big problem, but since we are knee deep in the throws of winter it can be a real challenge. Letting heat escape through windows is just like throwing your money away. 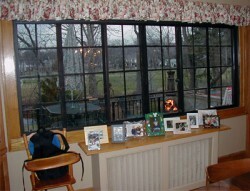 Nobody wants to crank up the heat just to have the cold air still come in through thin, single-pane standard windows. A solution to this problem is to consider using interior storm windows (and specifically the Innerglass interior storm window system). Interior storms provide an excellent solution to upgrade and enhance your window insulation values. This product seals up the window space tighter than the already existing window allows due to condensation buildup prevention. The added insulation is a noticeable when standing or sitting close to the window. As well as insulation, interior storms also add noise reduction from the outside world. Whether you live in a busy, noisy area or a relatively quiet suburb, this product will give you added protection from the noise outside of your home. Interior storms are easy to install so there is no need to worry about disturbing the existing window. Interior storm windows are compatible with traditional window spaces as well as sliding doors if you have those in your home. 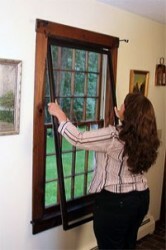 These windows are custom made to fit your existing openings after it is measured to ensure the best fit. 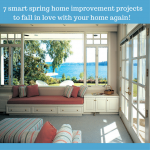 Older windows and new windows alike can be upgraded so having an existing home does not eliminate an upgrade. An additional benefit of these windows is they will lower heating and cooling bills and provide better protection against the extreme hot and cold temperatures. For more information or questions about interior storm windows or for installation in the New Jersey and New York areas call Eastern Glass Block at 800-635-1226.